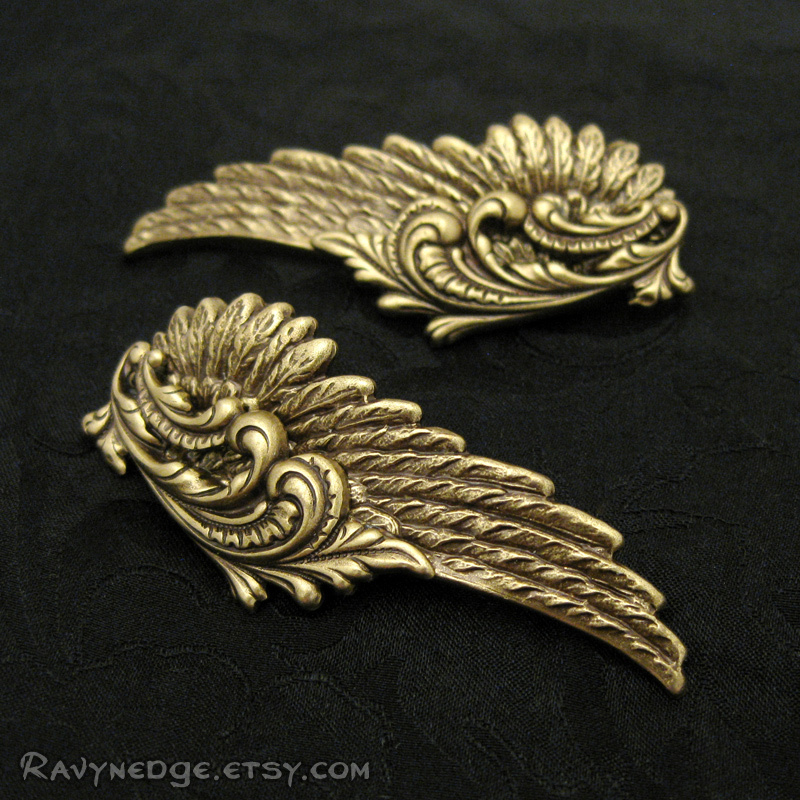 Zephyr Earrings - Whisperling Series Mixed Metal Angel Wing Clip Earrings by RavynEdge. 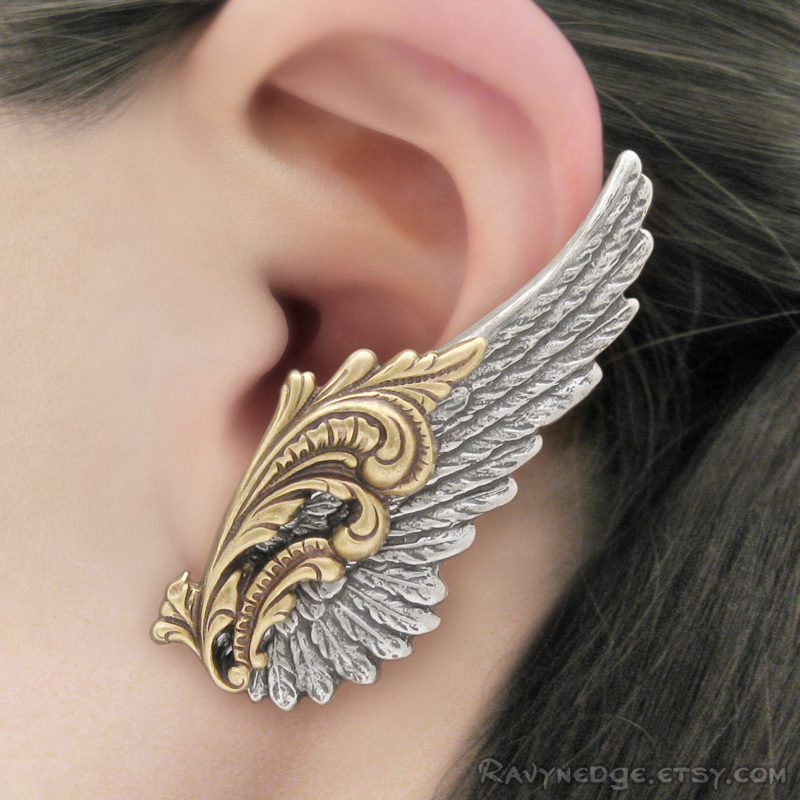 "Zephyr" features ornate flourishes flowing over extremely detailed angel wings creating a dramatic pair of earrings that will make a statement. 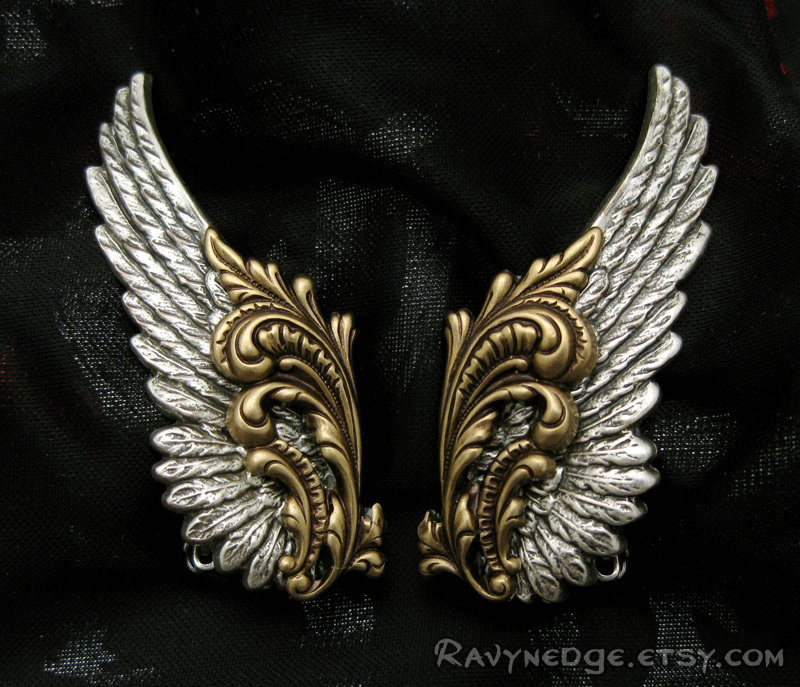 Only available as clip earrings and they are very comfortable. The flat paddle base measures 14mm long and 5.5mm wide. The clips have a tension bar which can be lifted, ever so slightly, to loosen them if they are too tight. 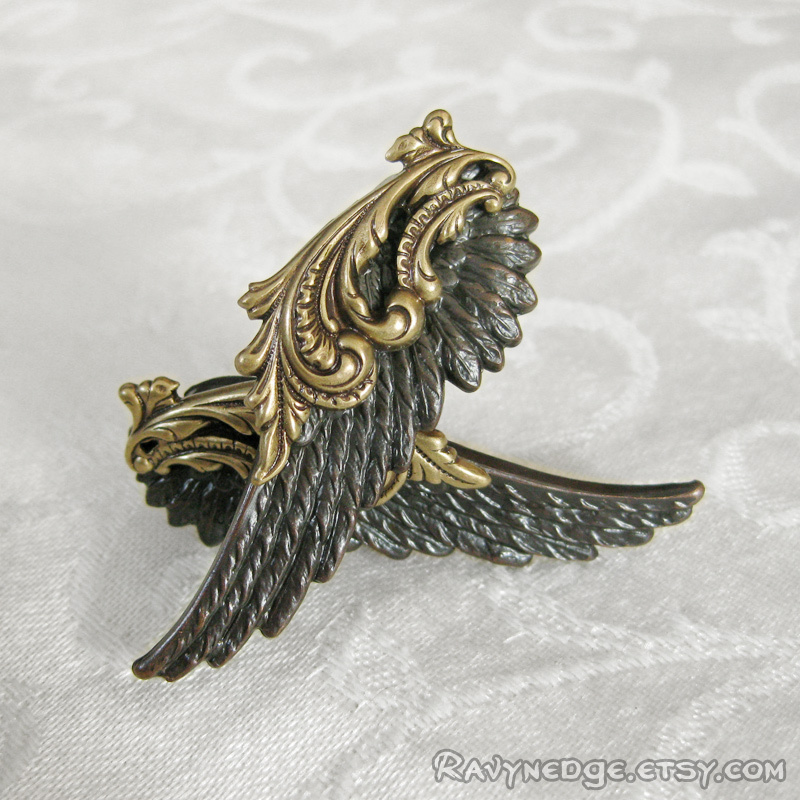 The wings themselves measure approximately 2 inches (52mm) long and 0.67 inches (17mm) wide. 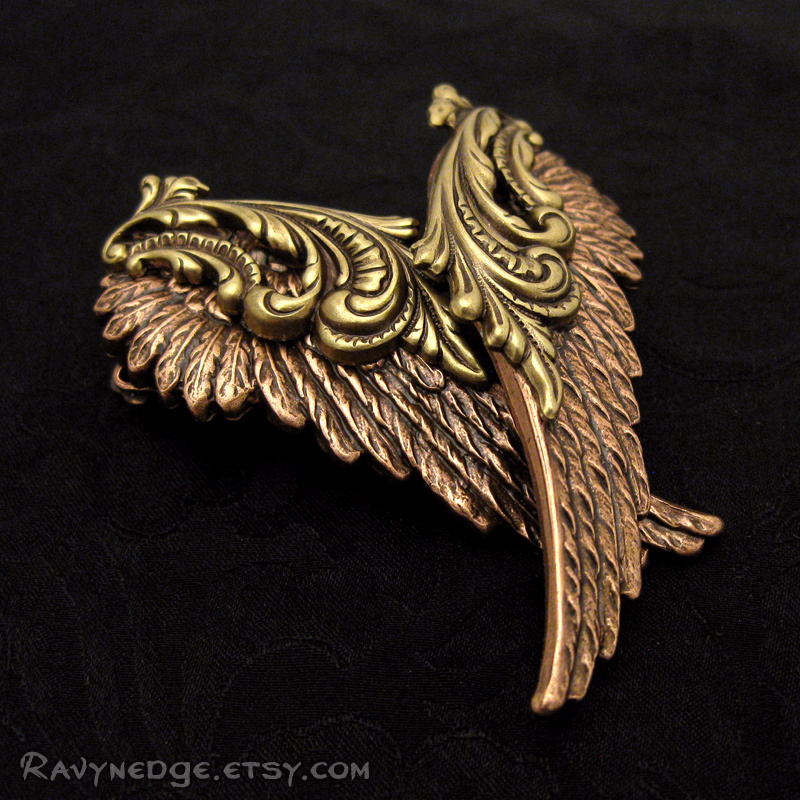 All the metal is brass, sterling silver plated brass, or copper plated brass, oxidized to bring out the amazing details. Nickel free and lead free.